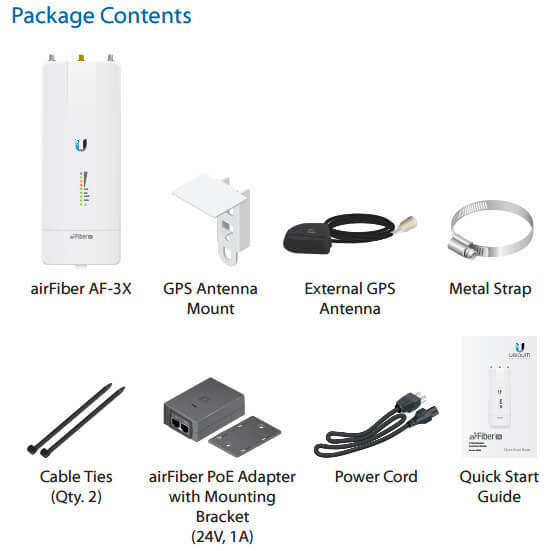 Ubiquiti Networks continues to disrupt the wireless broadband market with revolutionary technology at breakthrough pricing by introducing the airFiber X, a modular airFiber radio system that will serve a wide range of frequencies and is designed to be compatible with a variety of Ubiquiti antennas. 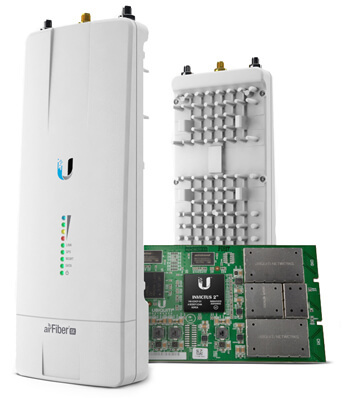 Building upon the proven design of the airFiber system, the airFiber X allows you to customize airFiber backhaul links or upgrade existing Rocket Point-to-Point (PtP) links. 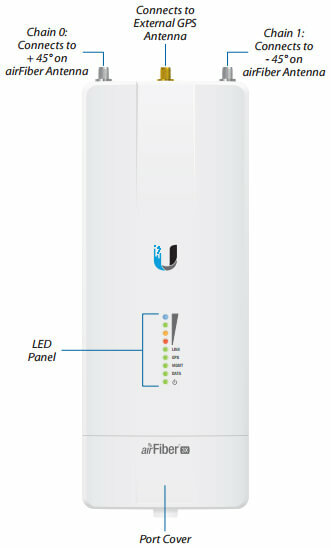 Ubiquiti's INVICTUS custom silicon and proprietary radio architecture are designed specifically for long-distance, outdoor wireless applications. 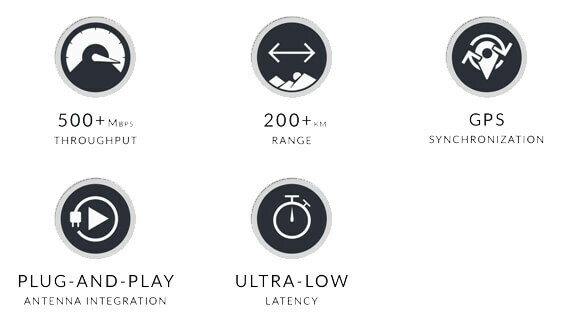 Our INVICTUS core communications processing engine surpasses all of the limitations inherent to generic Wi-Fi chips to provide superior performance, long-range capability, DFS flexibility, and higher delivered throughput. 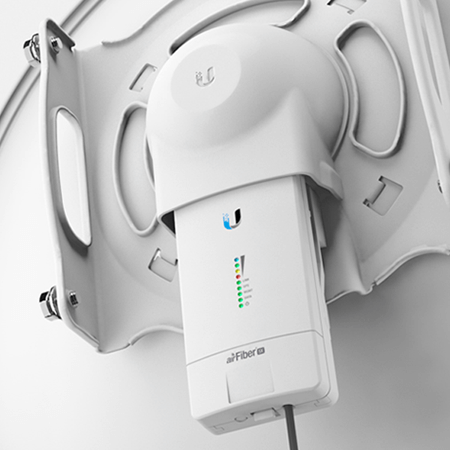 The airFiber X features industry-leading spectral efficiency of up to 17.1 Mbps/MHz, line-rate data packet processing of up to 525 Mbps of real data throughput, and innovative xtreme Range Technology (xRT) for up to 200+ km in range. 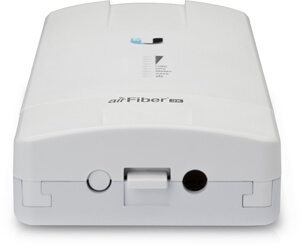 The compact form factor allows the airFiber X to be used with airFiber Slant 45 antennas, or instantly upgrade a 5 GHz Rocket link that uses a RocketDish RD-5G30/RD-5G34* antenna. Deploy the 2.4, 3, or 5 GHz model that meets your specific spectrum requirements, anywhere around the world. 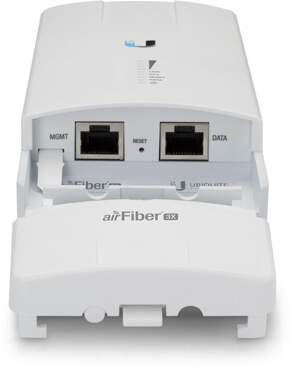 The airFiber X features multiple channel width options to suit your deployment needs – up to 11 different channel sizes available for the AF-2X or AF-3X. 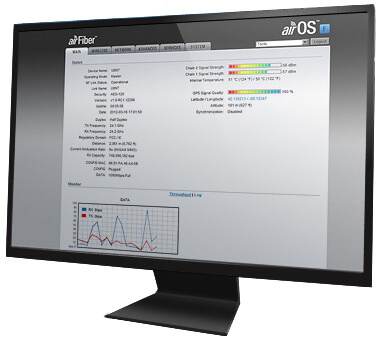 Using advanced digital signal processing, the innovative airFiber X radio design has an ultra-clean transmitter output, reducing broadband noise, facilitating co-location, and enabling higher-order modulations like 256QAM for greater throughput. 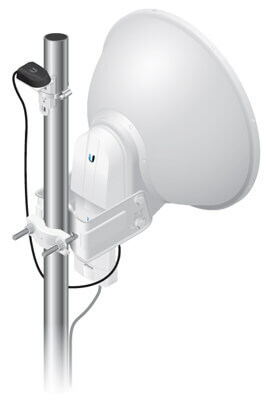 The 2.4 GHz frequency band is free to use, worldwide; and with its proprietary protocol, the AF-2X increases both range and delivered throughput in this popular band. Channel width flexibility* allows independent TX and RX channel frequency configurations anywhere within the radio band to avoid local interference, and the channel centers are selectable in 1 MHz increments. You also have the ability to program different uplink and downlink duty cycles to support asymmetric traffic requirements. 1 Throughput and range values may vary depending on the environmental conditions. 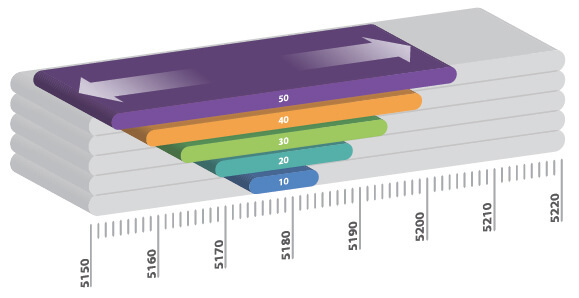 3 Channel widths may vary according to country/region regulations. 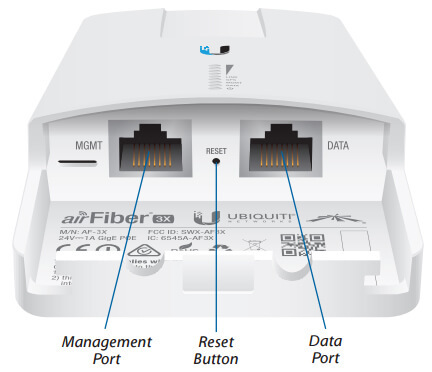 Download the Ubiquiti airFiber X Datasheet (PDF).